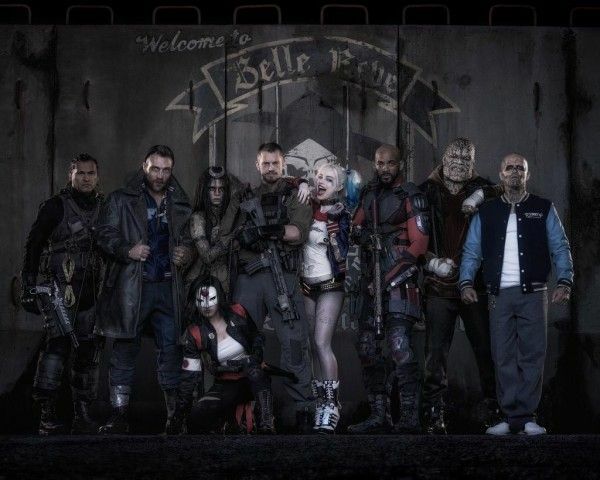 The production of the Suicide Squad movie has been interesting for a number of reasons. Not only is it an excitingly different kind of superhero film—one that tells the story from the villain point of view—but it’s serving as the Batman v Superman: Dawn of Justice follow-up in the DC Movie Universe. Director David Ayer assembled a wonderfully diverse cast to bring the story to life, but interest is understandably high on Jared Leto’s iteration of The Joker. Rumors have been swirling that Leto is going method for the role, staying in character while he’s on the set and keeping his distance from the rest of the cast, and the latest revelation to come from Suicide Squad is Leto’s odd choice of gift to fellow cast member Margot Robbie, who plays Harley Quinn. Adam Beach, who plays the character Slipknot in the film, recently revealed to E! News that in an effort to show his co-stars that he’s putting in the work necessary to get into character but not necessarily alongside his co-stars, Leto sent eccentric gifts to his fellow cast members, including a live rat that he sent to Robbie. The rat is living with us in Toronto and he, and his massive ballsack, provide the house with great cheer and joy! We have re-named him Venustiano. We did Pac Rim and Crimson [Peak] together and she knew we are a family that loves rats—and most animals, really. She asked and we agreed! So there you have it. Jared Leto sent a live rat to Margot Robbie and his Suicide Squad co-stars, and they in turn gave it to filmmaker Guillermo del Toro. Life is weird. Take a look at the rat via Instagram below.